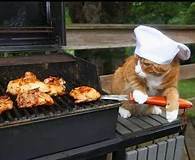 Supporting Purr Partners has never been tastier! 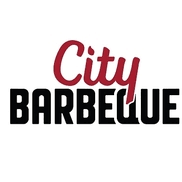 All day on Tuesday, April 9 we are partnering with City Barbeque. When you show them the flyer (print or electronic) Purr Partners will receive 25% of the sale, you read that right, 25% of all meals purchased all day April 9 will go to supporting our cats and kittens. 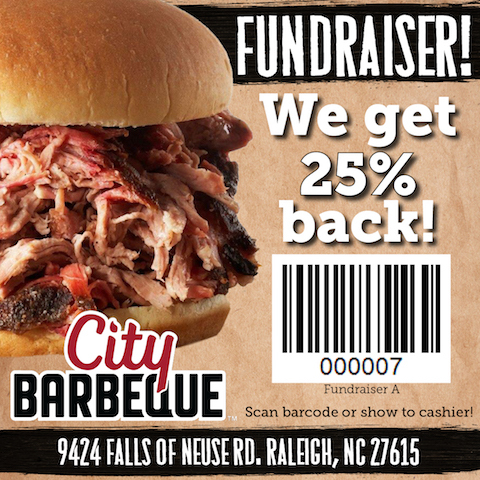 This is such a fantastic and fun way to raise money for much-needed supplies and medical care for our kitties, we hope you can stop by and enjoy some of the best BBQ in town! Good on all Dine-In, Take-Out, Call-In and Web orders. Show them this image to be sure your meal is included! Download here. 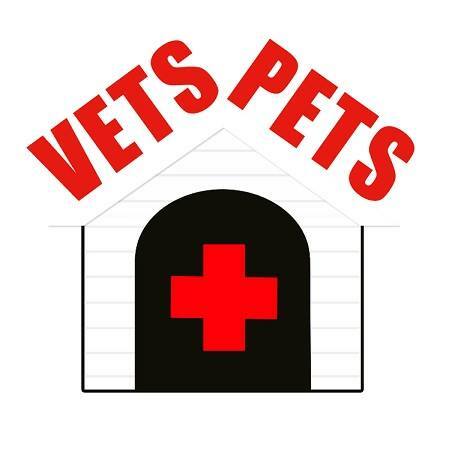 This year alone we have spent close to $80,000 on vet bills. We don’t turn away those that need us, but we can’t do it without help from those who care. 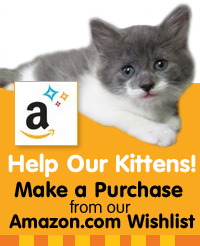 As you know we are 100% volunteer, so every penny goes directly to the cats and kittens we rescue. 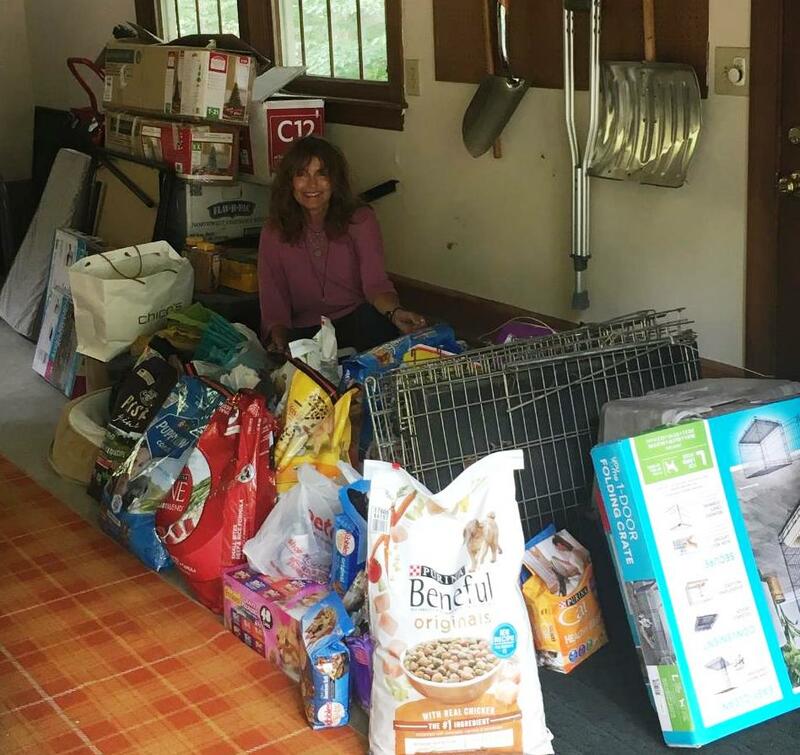 From kittens taped up in boxes and thrown in the dumpster to adults who have lived with a lifetime of pain because their owners didn’t want to spend money on them, we try to make a difference. Incorporated in 2009 as a 501(c)3 we have rescued and adopted out almost 3500 cats – and we manage all this with foster homes and no paid employees. We pull from rural high kill shelters and help those that are sick, injured, abandoned, and hopeless. Every cat and kitten gets whatever vet care they need, but to do that, takes money. 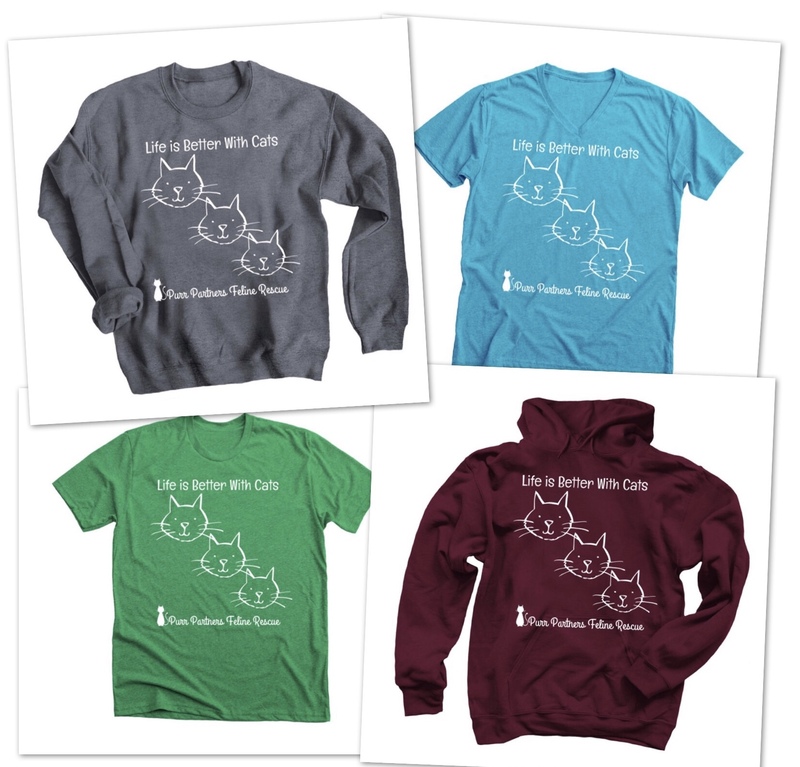 We have no source of income except through donations and our fundraising efforts, so by purchasing a tee shirt, you contribute directly to helping us help a cat or kitten get back to health and move to a permanent, loving home – and we can save another! Our volunteers have big hearts, and we know there are people in the community that have big hearts as well, so please consider supporting this fundraiser. Purchase a teeshirt, a sweatshirt, or hoodie, and wear it in honor of those that didn’t make it out of the shelter. We can’t save them all, but with your help, we can save more! 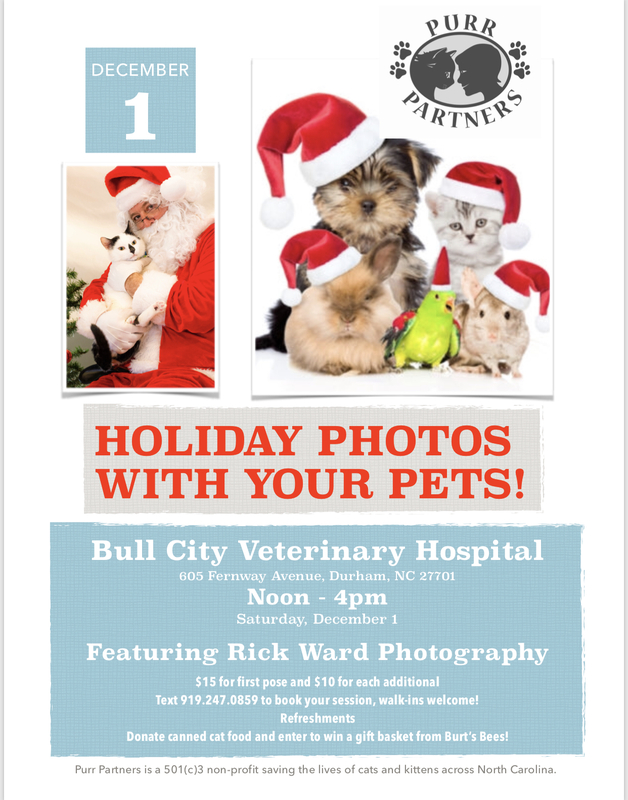 Santa Paws and professional photographer, Rick Ward are generously donating their time and talents to create your most memorable holiday photo ever! Every dollar raised goes directly to the animals in our care, so come on down and show your support by having your critter photographed with Santa Paws! Please join us for a frightfully fun night full of Boos and an all around Scary Good Time! Friday, October 19, 2018 from 7:30 – 10:30 pm at PROOF – Five Points in Raleigh. Hauntingly delicious food that is simply to die for…. Spooky cocktails, beer and wine too! 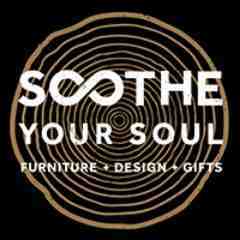 Shop auction items for you, your cats, your home. 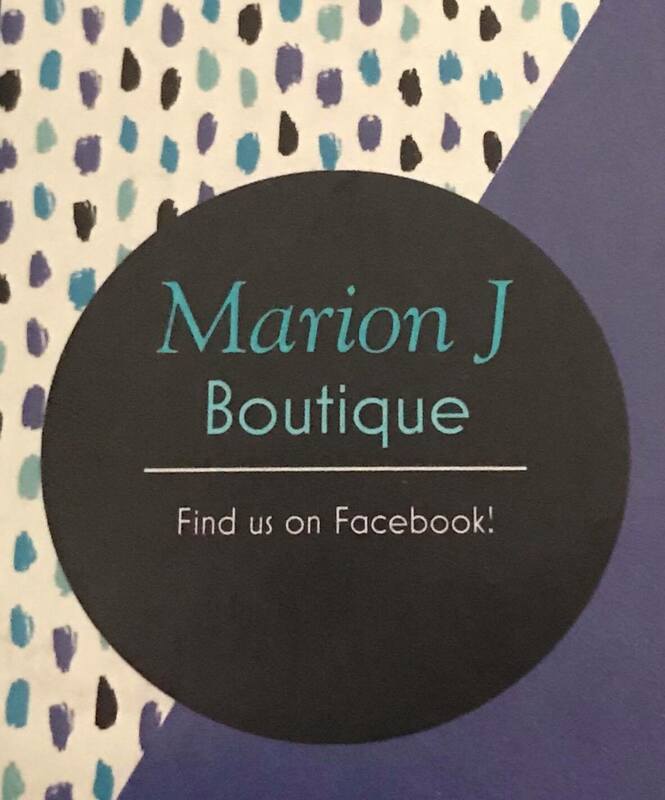 There’s something for everyone – in every price range! Take frightful photos! Win prizes in the costume contest. Will you be the lucky one who takes home the pot from the 50/50 raffle? It will be a great night of dancing, noshing, music and SHOPPING! Best of all, it’s for something near and dear to our hearts…CATS! Take a sneak peek at some of our favorites items up for bid! Super Bowl LIII at Mercedes- Benz Stadium in Atlanta, GA! Hamilton in Chicago, including 2-night hotel stay! 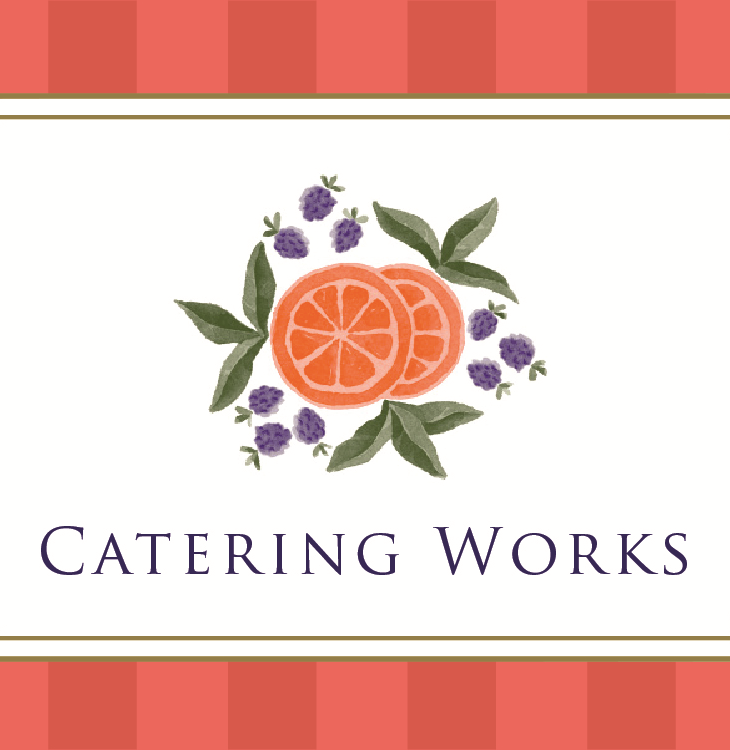 Tuscan Wine & Culinary Excursion! Attend the 2019 Masters in Augusta, GA! Trips to Napa Valley, Banff, Caribbean, Panama and Mexico! 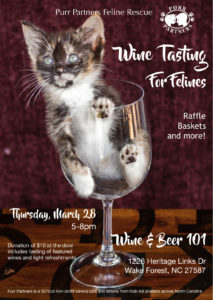 Order your tickets – MEOW! Vote as much as you’d like and encourage your friends and family to vote too! The more votes your kitty gets, the better their chances are at being crowned Calendar Cover Cat… and Purr Partners gets to save more cats and kittens! 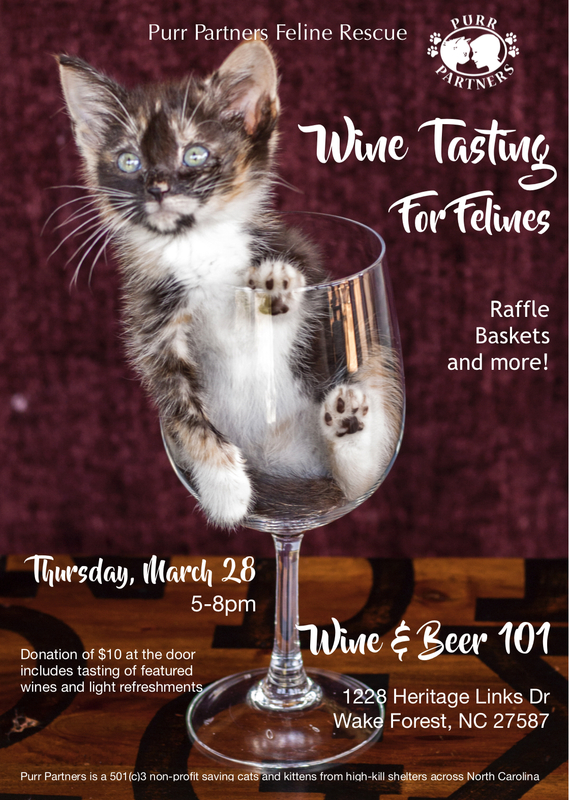 All proceeds go to benefit Purr Partners’ new Quarantine and Intake Center, which will allow us to create a space to provide optimal care for the animals we serve and to serve as many as possible. 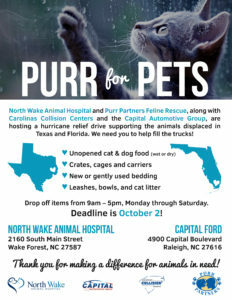 Purr Partners, North Wake Animal Hospital, Carolinas Collision Centers and Capital Automotive Group, would like to thank all of those who donated, helped collect supplies and spread the word for the #PurrforPets campaign supporting hurricane victims in Texas and Florida! With the contributions of the greater Wake Forest community we were able to collect much needed supplies and monetary support. 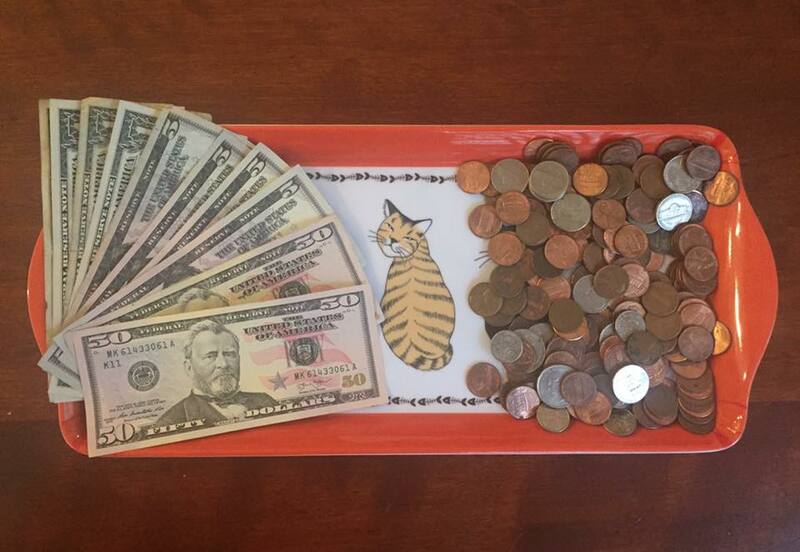 Nearly $3000 was send to Wags to Whiskers of Texas, a sister rescue to Purr Partners. 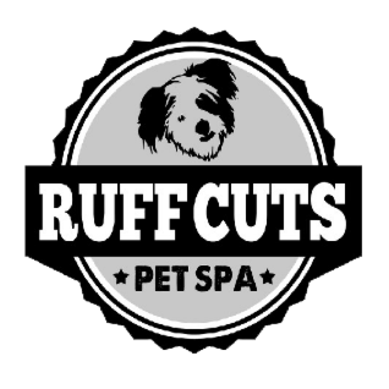 And two enormous truckloads of pet supplies are on their way to Texas and Florida! 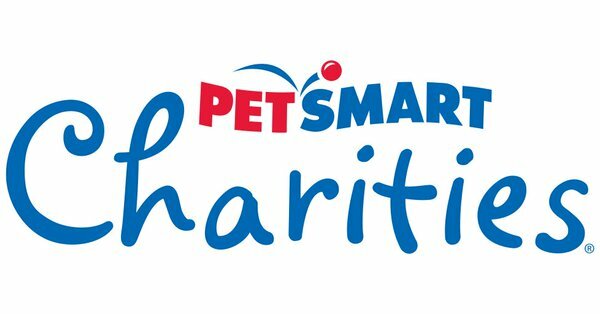 Purr Partners is pleased to announce that nearly $3000 was raised to benefit Wags to Whiskers of Texas! 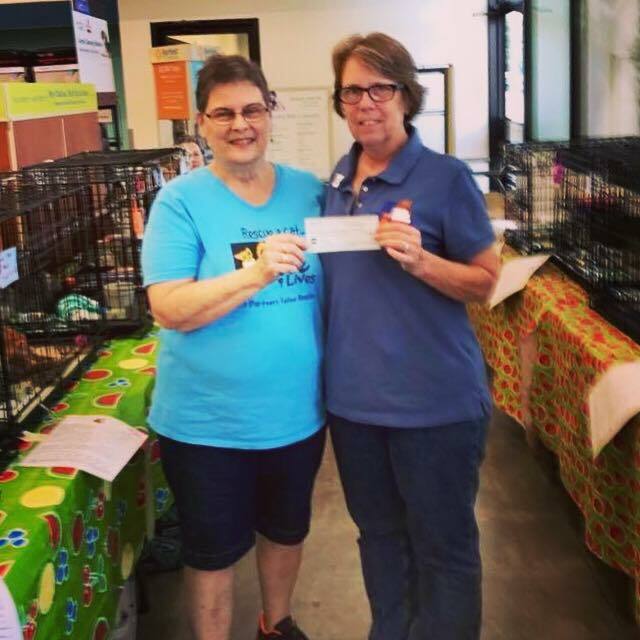 Barbara Bradley, Purr Partners Treasurer presenting Teri Kropik, Director of Wags to Whiskers of Texas with a $2000 check and $900+ worth of medical supplies! 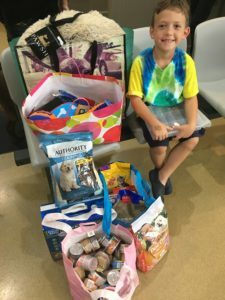 Of those donations received, a six-year-old Wake Forest resident, animal lover and budding activist — who wishes to remain anonymous — chose to forgo gifts at his 6th birthday party. Instead he asked friends and family to #PURRforPets by donating money and supplies to the animals affected by hurricanes #Irma and #Harvey. This young man is leading the way in reclaiming the meaning of gift giving! 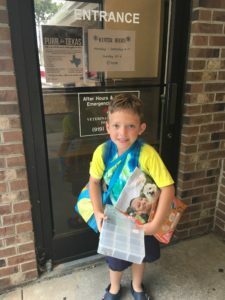 He has a bright future ahead and is a shining example to us all! Thank you for making a difference in the lives of these animals! 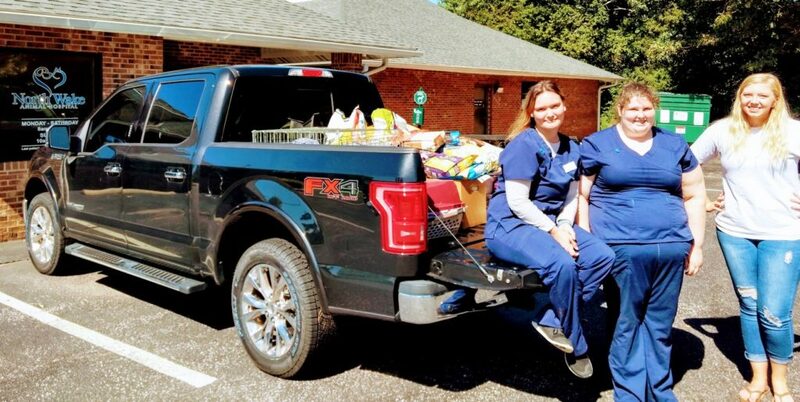 North Wake Animal Hospital’s team members Samantha and Amber help Cheyenne of Carolinas Collision Center load up more community donations supporting relief efforts in Texas and Florida. 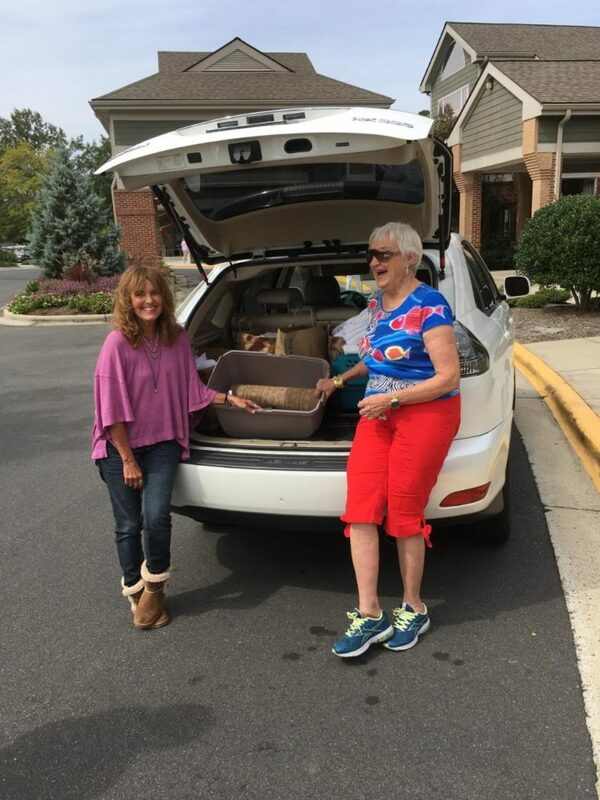 Ms. Harriet Herring and Sandy Elder collected donations at Carolina Meadows retirement community in Chapel Hill! Thank you to all the residents and especially, Ms. Herring, who is pictured with Sharon Carlson of North Wake Animal Hospital. 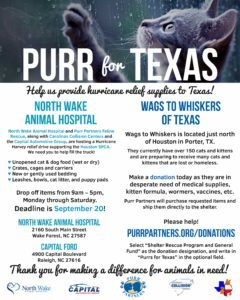 Like Purr Partners, Wags to Whiskers of Texas is a 501(c) 3 non-profit, no-kill, all-volunteer animal rescue. 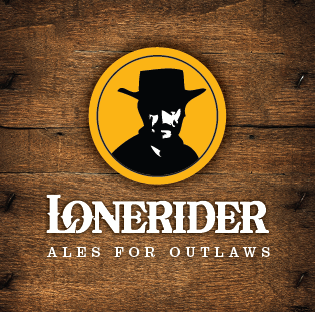 From their location, they serve Humble, Porter, New Caney, Spring, Cleveland and the Greater Houston Area. This includes Harris, Montgomery, Liberty and San Jacinto Counties. 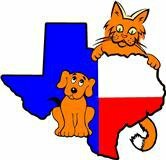 Donate here and select the “Shelter Rescue Program and General Fund” as the donation designation and write in “Purrs for Texas” in the optional field. Thank you for making a difference in the lives of these deserving animals! 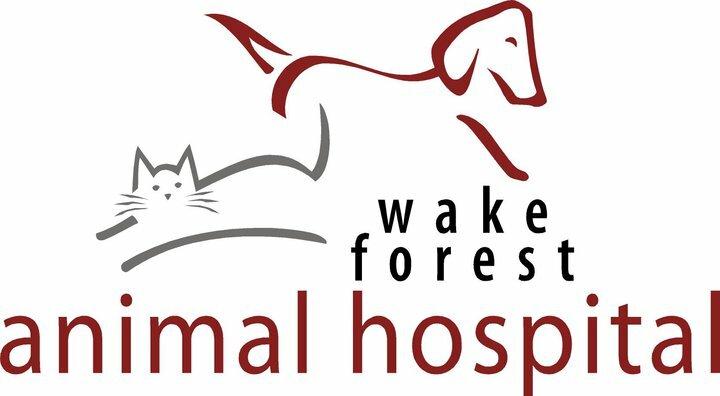 Welcome to our new Purr Partners Website. We are the same Purr Partners; we just gave our site a new look! 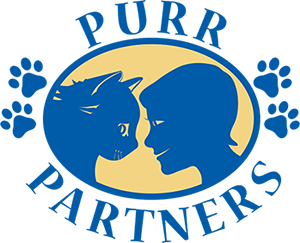 Our mission is to help homeless felines find loving homes through adoption and placement. 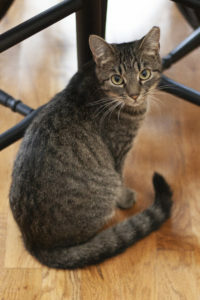 Here at Purr Partners, we believe that every cat has value and deserves a loving home. It is through education, advocacy and support that we pursue our goal of no more homeless cats. We can not pursue this goal without your help. Please consider helping us support our cause either by adopting, volunteering or by making a donation. Please contact us with any questions or email purrpartners@yahoo.com.